There are many perks to running your own business, and mine specifically lets me work with amazing marketers and entrepreneurs who can run their businesses from anywhere in the world. I’ve read so many books about remote working and how to set up a business that allows this. Books like The Four Hour Workweek and Vagabonding have inspired me while websites like NomadList.com keep me constantly dreaming. Even Facebook marketers are targeting me about traveling the world and working. Even though a few of the guys got pretty sick the week after (Kirk said “CredoCamp, with or without E Coli, is worth it”). Mexico, am I right? Here are the some the lessons I learned from the week. Hopefully they’ll be useful to you if you are considering working overseas and even doing it within community with others. When I put together CredoCamp, the original impetus was to find other entrepreneurs in a similar stage in business as me. I also wanted to learn from them about business, as they’ve all been entrepreneurs way longer than I have. What I didn’t realize before we were all in Mexico was that the mix worked out perfectly actually – I’m a new entrepreneur, Kirk Williams (of Zato Marketing) is a solo entrepreneur, Damon Gochneaur (of Aspiro Agency) has 1 fulltime employee and a few contractors, and Brandon Doyle and Kade Hendershot of Wallaroo Media have 20+ fulltime employees at their agency. Amazing things happened because of this dynamic, such as Brandon and Kade teaching the others about how they have scaled high quality hiring, Damon talking about his approach to closing clients, and Kirk sharing knowledge on PPC and working through growth considerations. 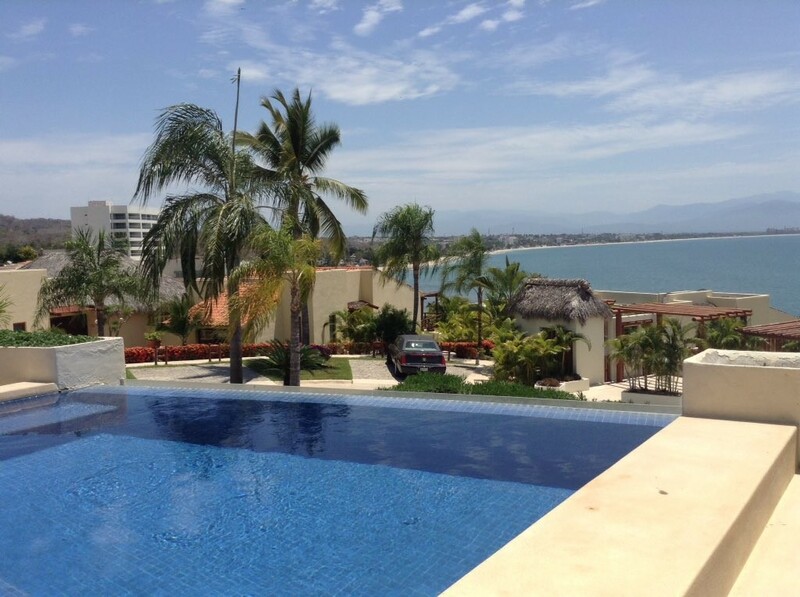 When we arrived in Puerto Vallarta, I joked that the plan for the week was to “not have a plan”. The loose agenda was to spend mornings doing our own morning rituals, taking care of business back home, and getting work done and off our plates for the day. The afternoons then took their own form, with some wanting to prioritize beach and downtime while others preferred to get more work done. The nice thing about nothing being required was that everyone could make the week what they wanted. We mostly ate lunch and dinner together, either at the beach club or at a restaurant in a nearby town, but at the end of the week everyone felt like they got done what they needed to and also had the Mexico experience that they wanted. I personally enjoy getting work done in the morning, taking a break around midday for beach/pool time, then hunkering down for a few more hours before early evening drinks and dinner. After that, I’ll either get back to more creative tasks or spend time socializing. I think the week had a healthy balance of each. This has been proven time and time again at conferences, but the real magic and learning of trips like CredoCamp occurs in the evenings when everyone has their guard down and is maybe a few drinks deep. We had some evenings of sitting around in the living room, all with our computers or phones out, but more than anything we chatted, shared knowledge and stories, and learned from each other. When I look back on the week, the times I learned the most and came away a better business owner and marketer were the evenings spent decompressing from the day. On Tuesday, so in the middle-ish of our week there, we all went to Sayulita, a little surf town about 20 minutes away, for some downtime in the afternoon. Some of the guys had never been to Mexico before and they all wanted to get souvenirs for their kids (ironically from the first point, I was the only one there without kids), so this was a great introduction to the Mexican culture. We spent the afternoon on the beach, where some guys opted to get massages, others went boogie boarding in the surf, and others of us just appreciated the time without an Internet connection to sit, read, and think. I personally used this time to do some reading and think about the next stage of my business, which ended up being one of the most successful periods of the trip for me. The last evening we all went to dinner down the beach in Bucerias, where we had an awesome authentic Mexican meal and got to spend time processing the week. This final one is tactical. When I booked the house, I specifically looked for a place within a resort community because I figured it would have functional wifi. I also emailed the owners of the house to inquire specifically about the wifi and was told that they had never had problems working from there, but they had not tested video calls on the wifi. While I would say we had functional wifi for the week, it was far from fast. Similar to conferences, when you get a number of marketers together who all have multiple devices, the connection gets very slow very fast. I was able to make calls using WhatsApp (my overseas tool of choice for calls and texts) if I was close to the router or in my room which was directly above the router, but other than that they were very slow. Some of the other guys also had challenges making phone calls to clients. In the future, I’ll check much more carefully about solid Internet connections so that the week can be more productive during the times we are in front of our computers. Overall, CredoCamp was a huge success. We all learned a ton, got some work done, and made friendships deeper. Those were the goals of CredoCamp, and I’d say they were all accomplished. I keep getting questions about what CredoCamp is and lots of interest in it. People keep asking me “So when is the next one?” This hasn’t been decided yet, though I have some ideas in mind and am thinking of ways to grow it in smart ways so that it stays just as high value and fun. If you’re a marketer and interested in CredoCamp, you have to be an accepted pro on Credo. I’m launching some new things very soon, so if you are interested you should sign up here – getcredo.com/apply/ – and you’ll be kept in the loop!